Listening to psychedelic sounds of The Beatles’ Sgt. 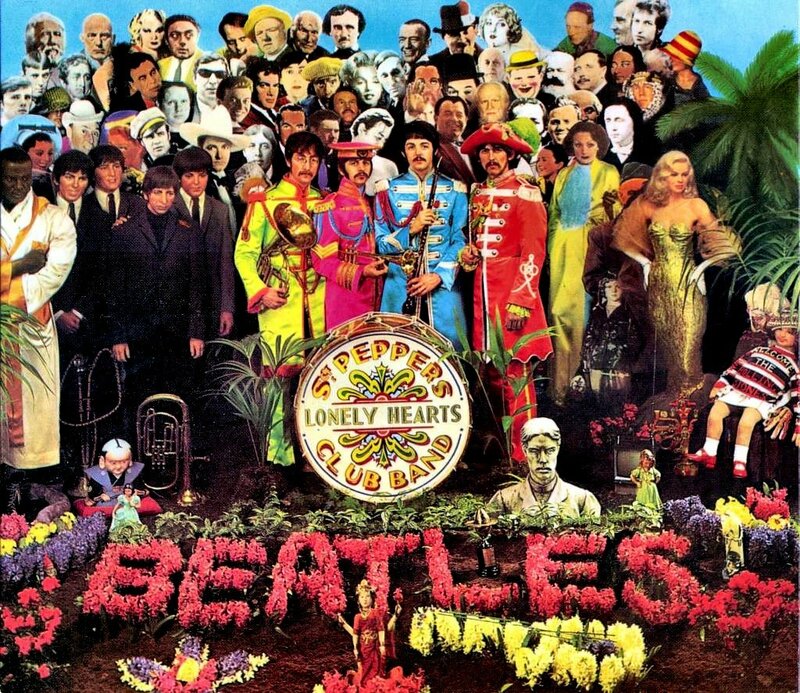 Pepper’s Lonely Hearts Club Band is almost as dizzying as a carnival ride. 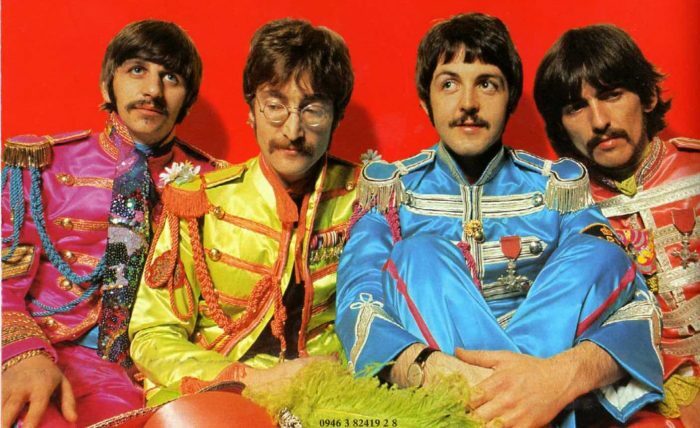 The album currently celebrating its 50th anniversary was influenced by the band’s use of mind-altering drugs, which sparked their curiosity to explore untouched territory and test the limits of their music. It also became the perfect soundtrack to the hallucinogenic trips of their fan base. The Beach Boys were one of the prompts for The Beatles to experiment outside their signature stride. Pet Sounds was tagged as one of the first psychedelic records from its references to LSD and its use of unconventional instruments, such as theremin, tack piano, and bass harmonica densely meshed together. In “Hang On to Your Ego” (the original version of the song that ended up as “I Know There’s an Answer”) Brian Wilson encourages drug users not to lose themselves inside the effects of drugs. “I Know There’s an Answer”,the final album version, removes Brian’s initial inspiration and serves as a prophecy to finding your purpose in life/happiness, leaving “Hang On to Your Ego” as an under-appreciated masterpiece. After The Beatles heard Pet Sounds, they responded with Revolver’s closing track. “Tomorrow Never Knows” proved they could be equally as inventive as Wilson, featuring looped tape experiments of reversed sounds, sitar, and Mellotron that were processed at random. Upon the album’s release, fans were dazzled by these sounds and called them “aural inventions”. Now, the stage was set for their true studio masterpiece, Sgt. 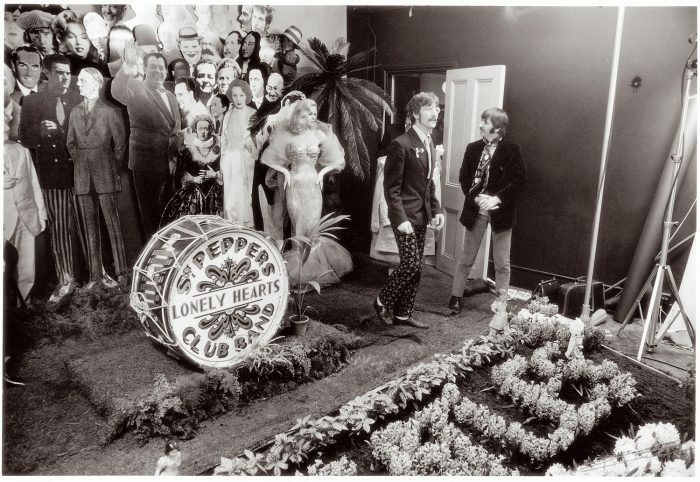 Pepper’s Lonely Hearts Club Band. One of the album’s most ornate productions is “For the Benefit of Mr. Kite!”. Lennon wanted more of a fairground production so that one could “smell the sawdust on the floor”. 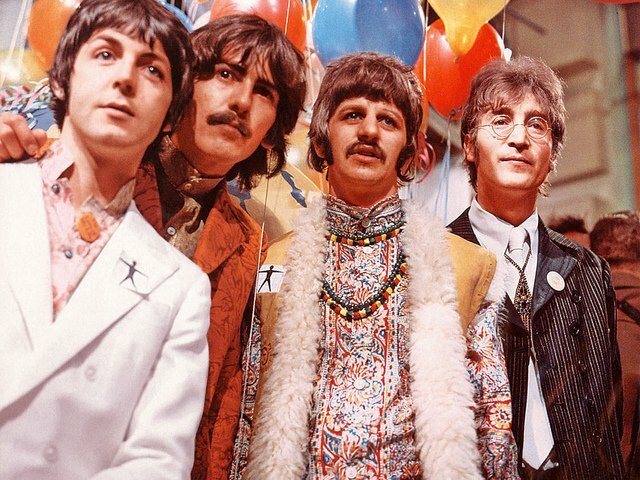 The Beatles and their producer George Martin gathered various tape recordings of fairground organs and calliope and spliced the pieces of tape randomly backwards and forwards throughout the song to create its carnival atmosphere. Lennon sings the track’s lyrics over a bouncy Lowrey organ one would expect to hear in a big top. The instrumental bridges between the verses are reminiscent of circus nightmares and feel as though they’re swirling around the room. of Montreal takes this fantastical atmosphere into a modern context and plays with a kaleidoscope of musical styles in “Penelope”. It moves quickly, like “Mr. Kite”, but feels as though it will go on forever like a nonstop carousel. The track’s bass part is melodic much like Paul McCartney’s bass-playing, and vocalist Kevin Barnes’ tells an intriguing fictional story. of Montreal’s music is an energy-loaded and sugary trip akin to candy floss at the carnival. The calliope and organ samples of “Mr. Kite” are exchanged for emotional screams in Animal Collective’s “Grass”. The band is one of the most innovative in psychedelic music today with their electronic soundscapes and catchy hooks. It’s also very human with its explosive drums hits and Avey Tare’s dynamic vocal performance. “Grass” was recorded using guitar and piano tunings that were specifically out-of-tune, and they have a member completely dedicated to trippy sounds – the Geogolist who is responsible for the crackling intro and the chirping birds and airplane samples. The Beatles took permanent leave from touring to create fresh, new sounds and ideas that listeners never expected. They spent over 400 hours in the studio to perfect their concept of giving the world a new sound that mixed their traditional guitar-bass-and drums setup with otherworldly lyrics and dense kaleidoscopic production. This has inspired all bands thereafter to stretch the potential of what can be done in the recording studio.